Las Vegas is more than just its “Sin City” reputation. Beyond the tourist trap of the Strip, gambling tables and all-day-and-night parties, there’s a city that has a personality and culture that few are privy to. The odds are in your favor, and we aren’t just referring to the slot machines. We’re talking about weird Vegas. 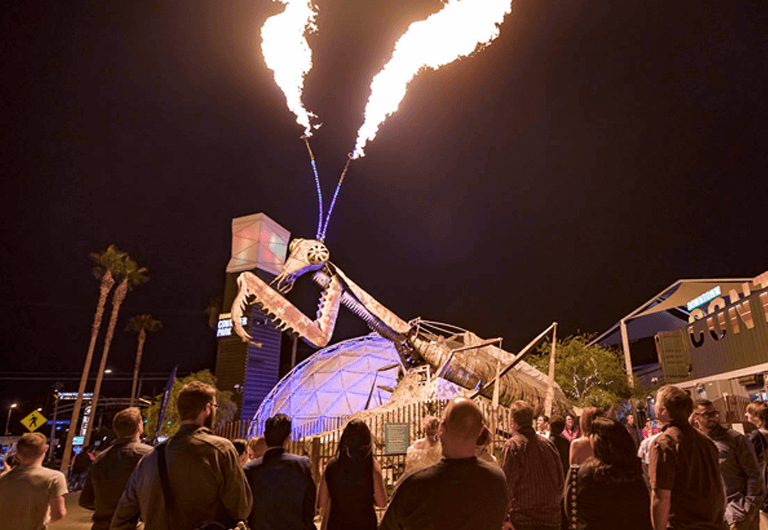 A place where you can walk amongst zombies, zip line over a massive crowd of people, and see a giant fire-breathing mantis. There are so many fascinating things to do in Vegas and we’ve highlighted the weirdest parts of this beautiful, vibrant city that must be explored to be believed. Visit the final resting place of some of Las Vegas’ most iconic neon signs. The Neon Museum and Boneyard is a photographer’s quirky dream. 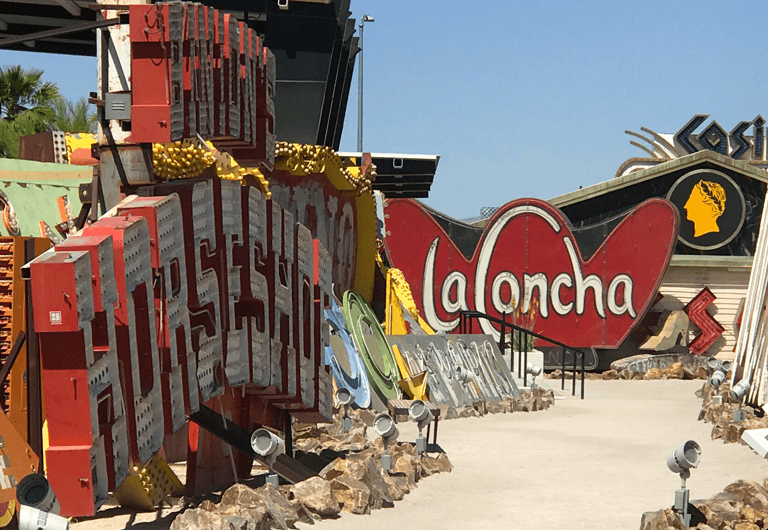 Founded in 1996, the Neon Museum is a non-profit organization dedicated to collecting, preserving, and exhibiting iconic Las Vegas signs for educational, historic, arts and cultural enrichment. Each sign offers a unique story about the individuals who created it, what inspired its creation, and the role it played in Las Vegas’ distinctive history. While this venue is available for weddings, special events, photo shoots and educational programs, most people can visit the collection through an hour-long guided tour or a self-guided tour. Tours are available seven days a week, but times vary based on the season. We recommend booking ahead of time as tours often sell out. You didn’t think we’d leave a magic show off the list of weird things to do in Vegas, did you? Criss Angel’s Mindfreak Live!, located inside the Luxor Hotel & Casino, is the only magic-themed Cirque du Soleil act on the Strip. With 3D special effects, motorcycle tricks and stunning performers, it sets itself apart from the traditional Vegas magic show. Downtown Container Park has an eccentric collection of about 30 bars, restaurants and shops, all residing in giant shipping containers. But most nights, a fire-breathing, praying mantis is in the limelight. Originally created for Burning Man by aerospace engineer and artist, Kirk Jellum, the mantis is a 150:1 scale replica of a female mantis he found in a field. This unique work of art took 3,000 hours to build, is 40 feet tall and 30 feet wide, and burns approximately 50 gallons of liquid propane each day (with flames that reach six stories high). 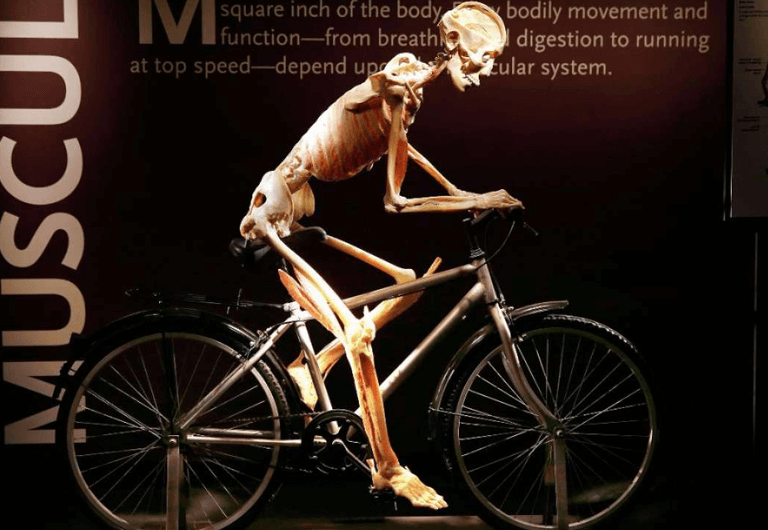 A museum full of dead bodies likely sounds morbid and uber creepy, but since its premier in 2009 at the Luxor Hotel, Bodies: The Exhibition has been experienced by more than 15 million people worldwide. Using an innovative preservation process, the Exhibition showcases real bodies and organs, providing a detailed look inside the human form. Patrons are able to get up close and see various organs in different states of distress, such as a smoker’s lungs and cancerous tumors. Ever had the urge to drive a bulldozer? How about a hydraulic excavator? Let your inner child out to play in this adult sandbox. 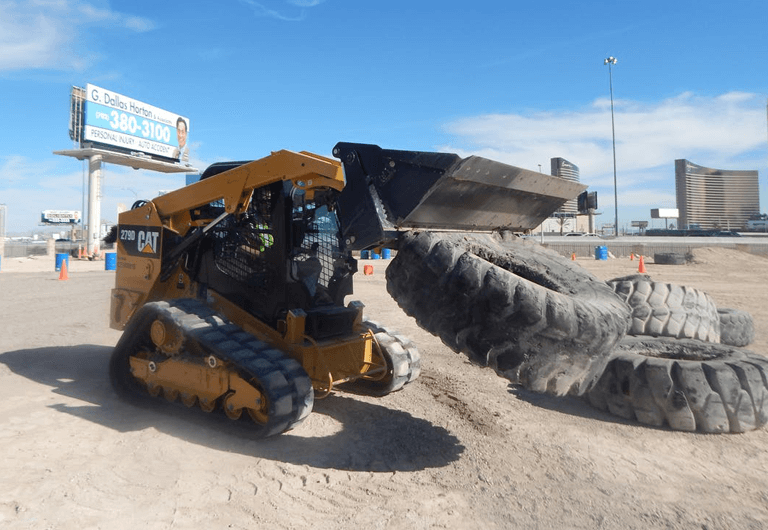 Dig This Las Vegas allows you operate a state-of-the-art “Caterpillar” D-5 track-type bulldozer or 315CL hydraulic excavator. If you choose to take on the bulldozer, you’ll get to dig trenches, ride over tall mounds and push gigantic boulders. The excavator option allows you to lift 2,000-pound tires and stack them up into a pyramid. Did we mention, with this option, you’ll also have the chance to take basketballs one by one and place them on cones? Both missions are challenging and fun. Zak Bagans, the founder of The Haunted Museum, has been interested in the paranormal since he was just 10 years old. He has since given Downtown Las Vegas the chance to experience the spine-chilling world of spirits on his 11,000-square foot property. The mansion, which was built in 1938, is home to hostile spirits and paranormal energy. Wander down winding hallways and secret passages to experience this one-of-a-kind adventure yourself. 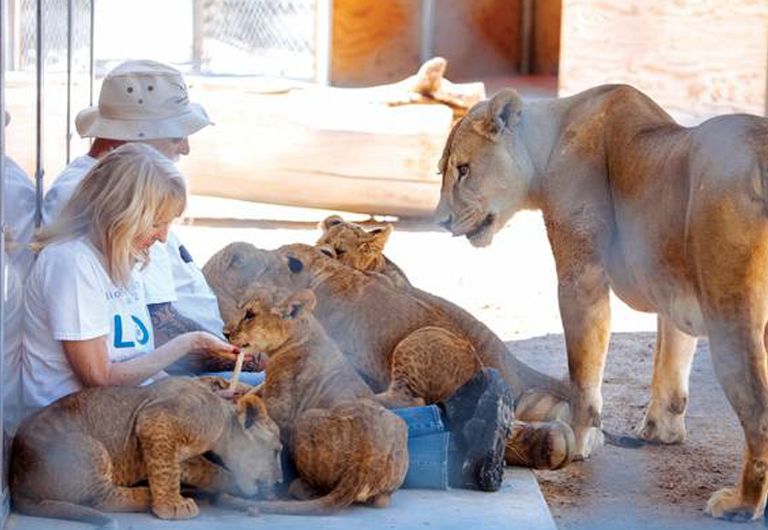 At The Mirage, you can visit a dolphin habitat but you can see lions, ostriches and a giraffe at the Lion Habitat Ranch! Located south of the Las Vegas Strip, guests can take a behind-the-scenes tour of the ranch, eat with the animals, and even feed them! Did we mention Ozzie, the giraffe, paints? Book your tickets now for a roaring good time! If you have a fear of heights, you may want to skip this Downtown Vegas activity. If soaring over a crowd of people at 30mph strikes your fancy, Slotzilla, a 12-story slot machine-inspired zip line attraction gives you a birds eye view of the Fremont Street Experience. SlotZilla offers two ways to fly, the lower “Zipline” and upper “Zoomline.” At 77 feet above ground, thrillseekers fly in a seated position, while the upper Zoomline riders are 10 stories high and fly “superhero-style”. Next time you’re looking to experience something off the beaten path, take a walk on Las Vegas’ weird side. There’s an abundance of unique, interesting, and fascinating things to do in Vegas. Take an afternoon and discover these offbeat attractions and more!